Indian cab service Ola has added an option to book TaxiForSure (TFS) hatchbacks on its app, increasing the number of vehicles available to passengers. 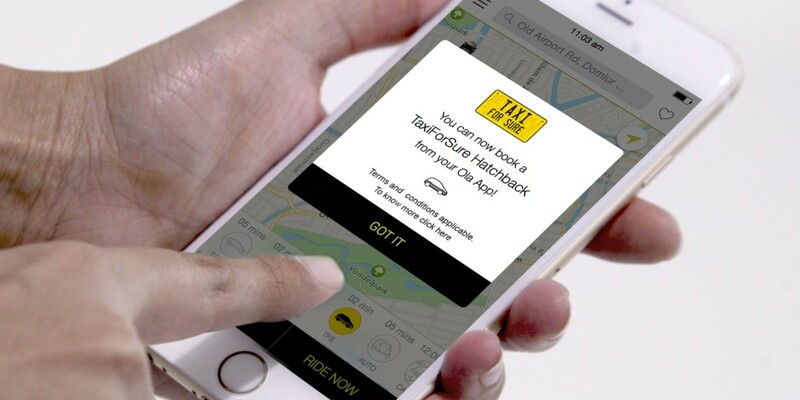 TaxiForSure’s hatchback fleet will first become available to Ola users in New Delhi and Mumbai, and to other cities over the next few weeks. This is Ola’s first major integration of TaxiForSure’s service after it acquired the company in March for $200 million. For comparison, an Ola Mini cab in Bangalore charges a base fare of ₹ 80 ($1.25) for the first four kilometers and ₹ 10 ($0.16) per kilometer thereafter, plus ₹ 1 per minute of ride time after the first five minutes. TFS’s hatchbacks charge Rs. 49 ($0.77) for the same base distance and Rs. 14 ($0.22) per subsequent kilometer with a trip time charge of Rs. 1.25/min. That’s good news for Ola users who frequently encounter the dreaded ‘No cabs available’ message when they need to get somewhere quickly.